The Cecil Land Trust, which marks its 20-year anniversary in 2018, has protected 2,759 acres of land—both farms and forests—as well as 14 waterways to date. The organization works with landowners and heirs to set up conservation easements, legal agreements that limit subdivision and other uses inconsistent with preserving open space. One way to bring people closer to the environment, Burnham says, is to call attention to where their food comes from. And what better way to celebrate food than, well, with a celebration? The Cecil Land Trust uses events like a supper to celebrate Scottish poet Robert Burns. 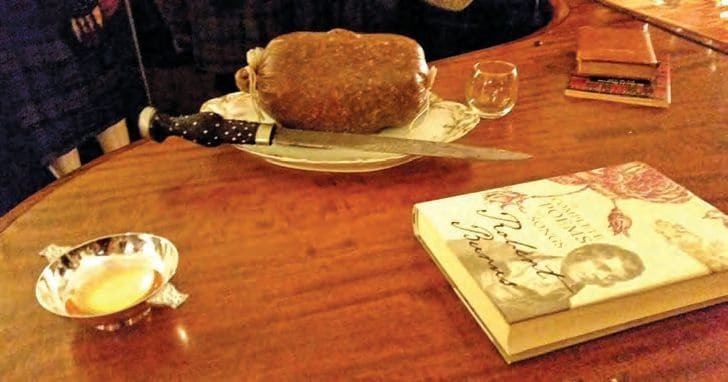 In January, Cecil Land Trust will hold its second annual Robert Burns Supper, a tradition more popular in Great Britain than stateside that observes the Bard of Scotland’s birthday. Along with readings by local high school students of the 18th-century poet responsible for such iconic verses as “My love is like a red, red rose,” and “Auld lang syne,” the organization will serve up food and drinks from local farms. The 300 or so guests at the Ed Walls Center at Fair Hill Natural Resource Management Area will enjoy bagpipes and Scottish dance, eat haggis (a traditional dish made with sheep’s stomach and offal), and toast Cecil County’s open spaces. After all, farmers are an integral part of the trust’s work, she says. “Farmers know and love their land,” she points out. Part of the trust’s mission is assisting its farms with sustainable farming practices, marketing and community outreach. For example, the organization is putting together a local foods guide and is in the planning stages of a hub to aggregate and distribute local foods so farms will continue to thrive.